Stay Active & Independent for Life (SAIL)Fitness Instructors needed at The Herndon Senior Center. SAIL is a strength, balance and fitness program for adults 65 and older. Performing exercises that improve strength, balance and fitness is the single most important activity adults can do to stay active and reduce their chances of falling. The entire curriculum of activities in the Stay Active and Independent for Life (SAIL) program can help improve strength and balance. Exercises may be done sitting or standing. Classes are 55 minutes long and held 2-3 times/week. Certified instructors (volunteers) are needed to teach a full 12 week course. 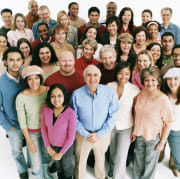 Additional information about the SAIL program is available at: http://www.wellnessplacewenatchee.org/sail-home.